This report has been updated since it was originally published. Iranian forces launched ballistic missiles targeting Syrian militants early Monday, an attack that potentially put coalition forces at risk, a Pentagon official said. A ballistic missile fired by Iranian forces hit an area where U.S. troops and Syrian Democratic Forces are clearing remnants of Islamic State forces out of the Middle Euphrates River Valley. 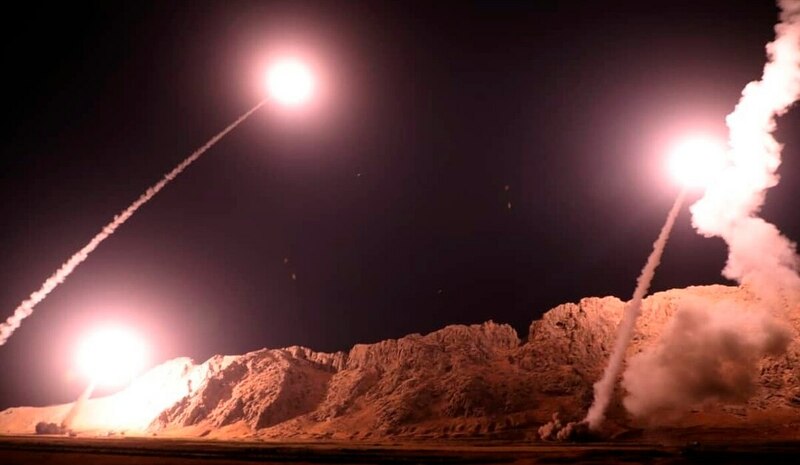 The launch of missiles and drone bombers was targeting militants Tehran blames for the recent attack on a military parade in Ahvaz, Iran, according to news reports. The strike was a threat to coalition and Syrian forces operating in the area, Robertson said. The Iranian forces failed to conduct the operations responsibly, he said. Iran’s Revolutionary Guard launched six ballistic missiles and drone bombers Monday while also threatening regional adversaries as Tehran’s nuclear deal with world powers unravels, the Associated Press reported. Iran's supreme leader has called out the two Arab nations by name, accusing them of being behind the Sept. 22 attack on the parade in the Iranian city of Ahvaz, something denied by both Riyadh and Abu Dhabi. Monday’s strike was the second missile attack by Iran in a month, and came as tensions rise ahead of renewed U.S. sanctions targeting Tehran’s oil industry that will take effect in early November. Boukamal is held by Syrian government forces, but ISIS still maintains a presence in the area, despite being driven from virtually all the territory it once held in Syria and Iraq. The U.S. military's Central Command acknowledged that Iranian forces conducted "no-notice strikes" in the area. The Islamic State group also claimed responsibility for the Ahvaz assault, but initially made factually incorrect claims about it. Later, ISIS released footage of several men that Iran ultimately identified as attackers, though the men in the footage are not known to have pledged allegiance to the extremist group. 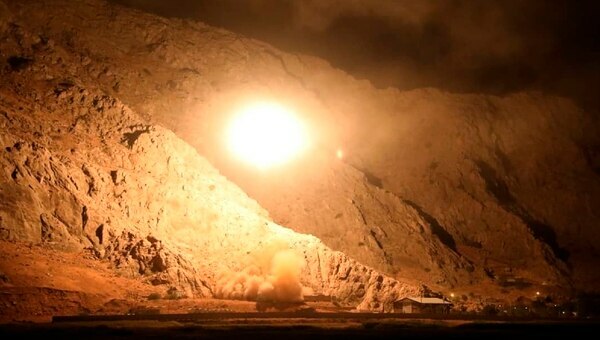 In announcing the launch, Iranian state media said the missiles targeted both “takfiri” militants — a term it often applies to the Islamic State group — and Ahvazi separatists. The separatists have not been known to work with ISIS in the past. Mohsen Rezaei, who formerly led the Guard, praised the missile strike on Twitter, adding that the "main punishment is on the way," suggesting more attacks could be imminent. Regional tensions have been mounting since President Donald Trump pulled America out of Iran's nuclear deal with world powers in May. The United Nations says Iran still honors the terms of the accord, in which it limited its enrichment of uranium in exchange for the lifting of economic sanctions.